This converted barn is home to the warmest stage on the site. It is also where you can find the main bar. Comfy seats and some fine drinks and ales make this a place you are bound to spend some time in. On Sunny Days the doors swing wide as the outside comes inside. 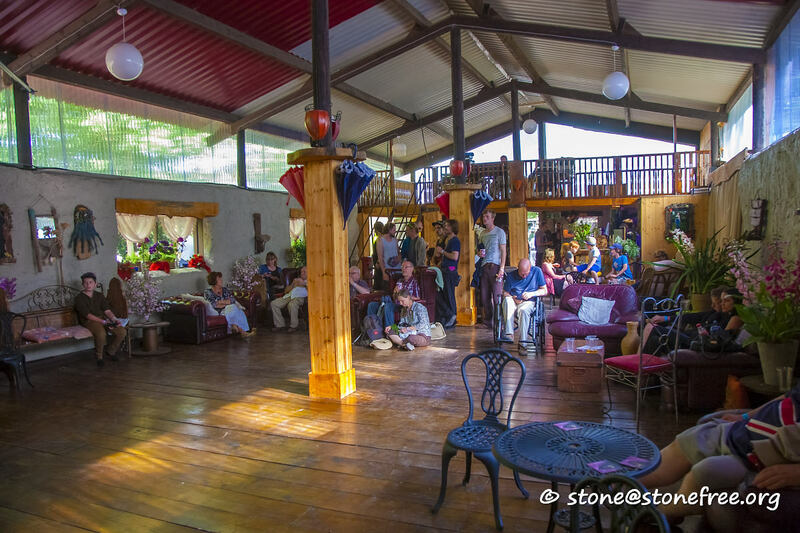 Here in the Party Barn you will find workshops and comedy, music and dancing. Friday Night you will find a Funky Friday Special. Get out your finest 70’s Funky disco gear and prepare to get down! The first and last musical acts of the festival will perform here…. this is where it all begins and ends with DJ’s from the Beatroot Coillective. Please come back to the page for updates.